If you are looking for Christmas ice rink installation then you have come to the right place. 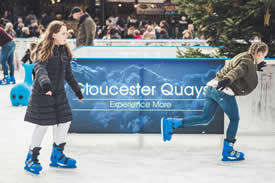 We have over 13 years experience working with councils, private businesses, bid organisations helping to provide them with ice rink installation to meet their specific needs. Working alongside our trusted suppliers, we can fully project manage your rink from conception through the execution, therefore this takes away the worries about gaining planning permission and build planning, whilst our team will provide full rink management. 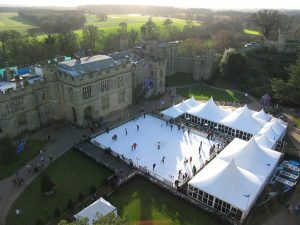 We are proud to have provided ice rinks to Warwick Castle, Gloucester Quays and more. Speak to our team today regarding your Christmas ice rink installation requirements. Simply call us on 01789 298040.